One of the many after-effects of an accident is the pain you would go through. The degree of the pain a crash victim goes through is dependent on the intensity of the crash, and truck crash victims are some of the most severe. If the truck accident is non-fatal, you would have to spend thousands to get yourself the necessary medical attention, and when you add the other not-so-obvious effects of the crash; you would agree truck accidents can be very tasking on the victim and their loved ones. No one should go through the distress and worries alone, you ought to be considerably compensated for the pain you are going through, although, it’s a sad reality that most persons go on ignored and uncared for by those responsible for their conditions. 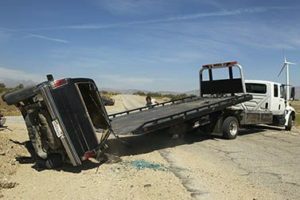 For you to get a hold on the settlements that you are due, you would need to take it up with the law by getting a truck accident attorney in Rialto, CA that will speak for you, and ensure justice is served. This is where we come in. Rawa Law Group is a team of highly experienced, case-winning and professional legal practitioners that are genuinely interested in your welfare as a victim of an auto accident, and are committed to bringing you the much-needed attention. We are not newbies in the industry, as we have gained for ourselves a boisterous following through the years, raking in 100s of millions worth of settlements for our many clients. Let us be your knight in shining armor legally! We will not charge you for consultation neither shall we request for upfront payments before taking on your case, we understand the difficulty of the present times and are ready to be your hope. Reach us via the address below!